Hiyoko|Phoenix, CONGRATULATIONS! FINAL 2! You have a 50% chance of winning DA BAWX! YAS QUEEN! but you also have won a power: the power of choosing the contestant you want to take to the Final 2 with you. Who should go to the Final 2 with you? Wilmarie|VULpicks., I'm sorry but you have been eliminated. Thanks for playing! Ashlee|CupidStunt and Nami|LaQuawnda...try to convince Hiyoko|Phoenix to take you to the Final 2! Ashlee|CupidStunt, I'm sorry but you have been eliminated. Thanks for playing! IT'S TIME TO PICK A BOX! ONE OF YOU WILL BE CROWNED THE WINNER OF "THE BOX" S6! GOOD LUCK! PHOENIX, YOU DID IT! 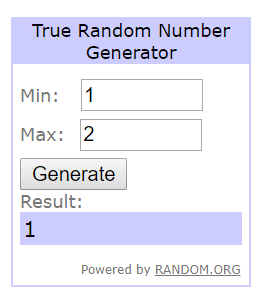 YOU ARE THE WINNER OF "THE BOX"! You were in danger of leaving a few times but you managed to stay. I thought you were going to be eventually eliminated by checking the site too late because you are such a sleeping beauty but I'm glad it didn't happen! In these last rounds of competition, you had power in your hands and you managed to secure your place in the final. I'm very impressed with you and let me tell you it's a pleasure to have you in my games. You are so entertaining and I love you. Miss Hiyoko is a great addition to the winners circle! Congrats once again! Enjoy this victory! Nami|LaQuawnda, I'm sorry but you are not the winner of "The Box". You were so close of winning this season. DAMN! You had such a invisible arc this season that it would have been quite impressive if you had won this season. Last edited by FashionLover; 10-12-2018 at 07:00 PM.